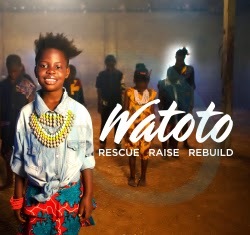 We are delighted that we have been able to book the Watoto Children's choir from Uganda again for 2015. If you had the privilege of hearing the choir this year - you are probably still singing "I am not forgotten - God knows my name" - and you will not want to miss out in 2015. This year's tour is called "Oh What Love!" and features a contemporary african sound mixed with the traditional.